The Storm Prediction Center has our area in the slight risk zone for severe weather. 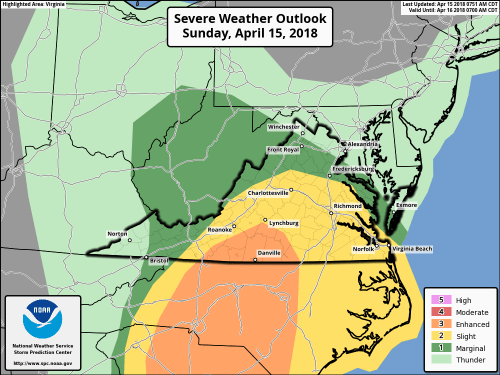 From near Roanoke south there is an enhanced risk for severe weather. I continue to watch the risk for some severe storms late this afternoon and evening. Though I think brunt of the weather remains south, we have the real possibility of strong storms with heavy rains. I’ll be updating more as needed.